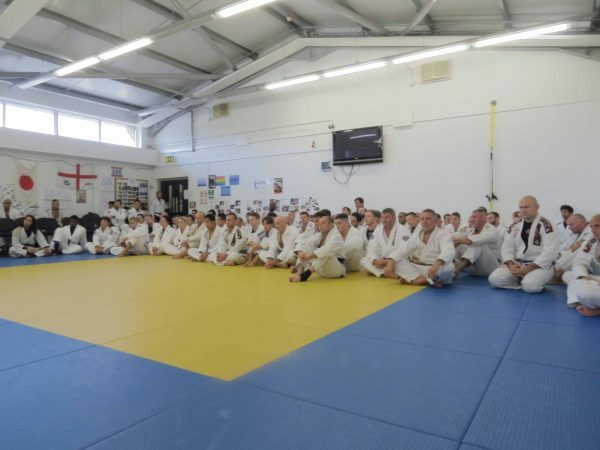 This weekend over 100 students from FightSportsUK, MMA Clinic Romford, MMA Clinic Angel, Hertford Combat Academy, MMAX Dorchester and Samson arrived at Redbridge Judo Club to represent Michael Russell BJJ. 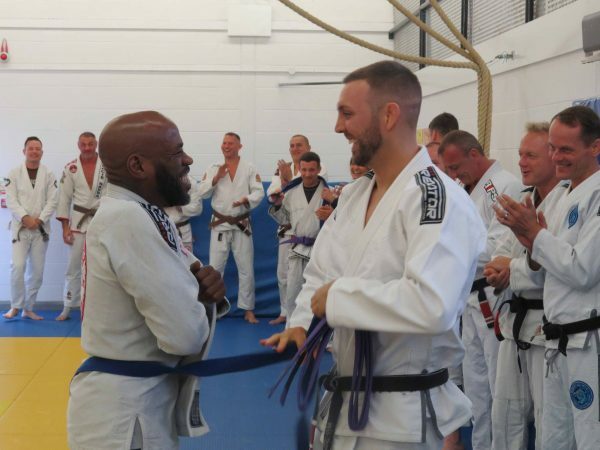 The day started with an inspirational speech from Michael Russell announcing the association name change from Michael Russell BJJ to Odyssey BJJ. 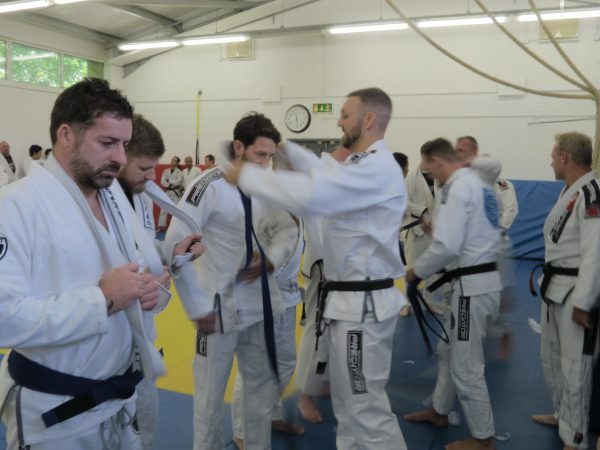 Michael spoke of the team expansion over the last 10 years from once a small student base teaching a handful of students to now over 150 students across six gyms, and the future team growth with the bright future of many Odyssey BJJ clubs. 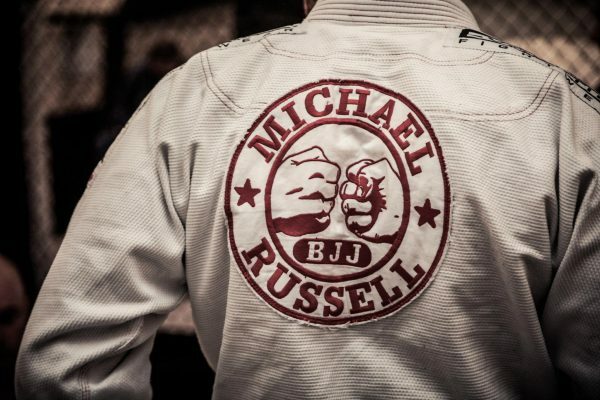 Michael spoke of how careful thought and consideration had gone into designing the new logo in order to maintain similarities between the Odyssey and Michael Russell BJJ logos, an association that will always exist in many peoples hearts. 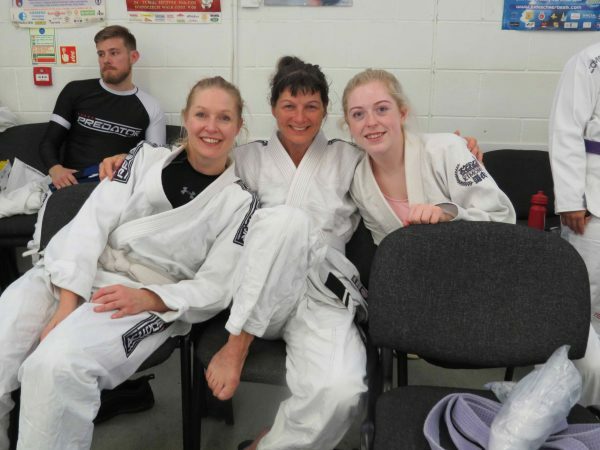 Odyssey means ‘long and exciting journey’ and although challenging at times, Brazilian jiu-jitsu really is an exciting journey. 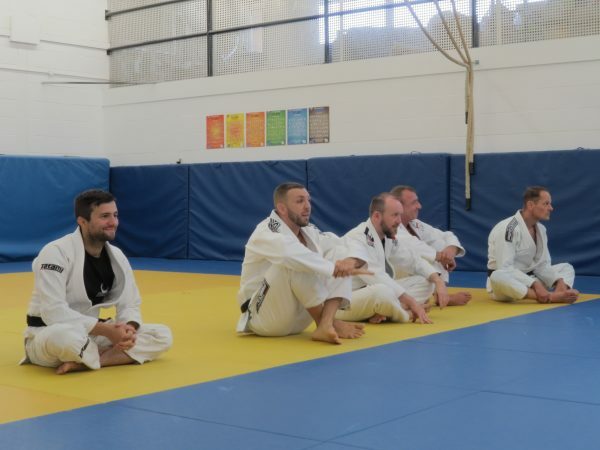 Michael emphasised the importance of enjoying every grade and not being in a rush to get what is perceived as the pot of gold (ones blackbelt). 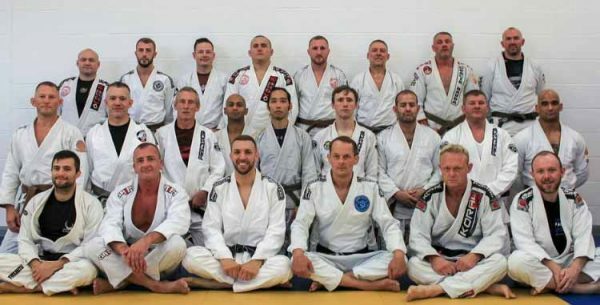 Quoting “appreciate the ups and downs and be happy for your friends, should they receive the next stripe / belt, as your time WILL come, IF you stay with the journey”!!!! 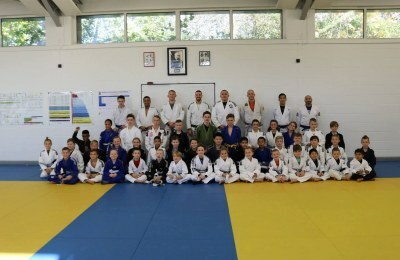 Next came a formal line up in belt order and WOW what a line up it was, including up to 13 brown belts and 6 black belts. 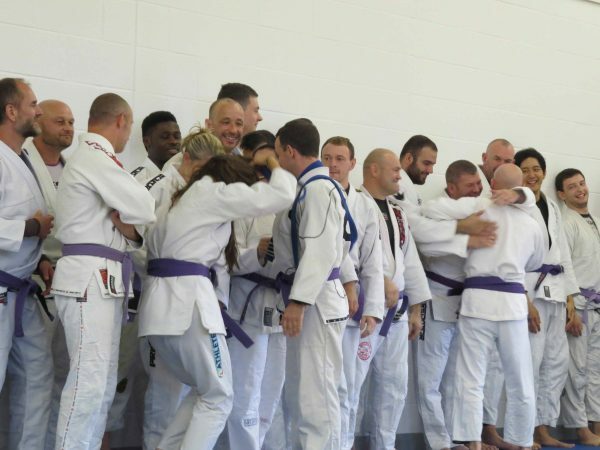 The belt promotions started with blue belts, then purple belts, then ending with brown belts, and I can honestly say looking through the lens, it was emotional. So many people coming together from different walks of life! 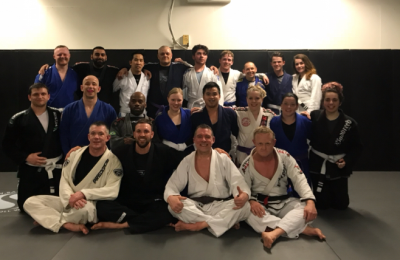 The day finished with students coming together and sharing their knowledge and passion for the sport by way of open mat techniques and sparring. 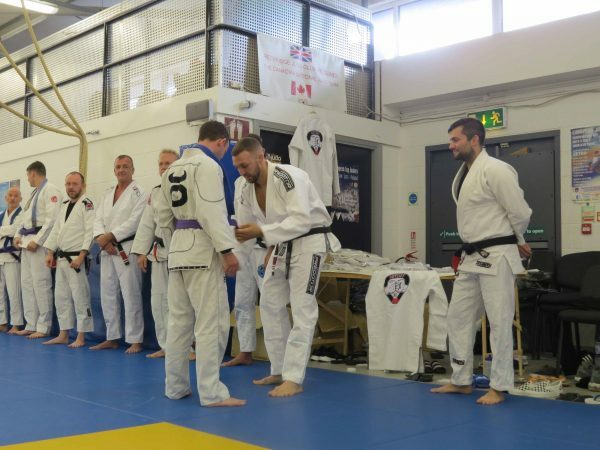 We at FightSportsUK would personally like to say ‘thank you’ to everyone (Michael, Blackbelt Instructors, Assistant Instructors, organisers and students) who made this such an awesome occasion. 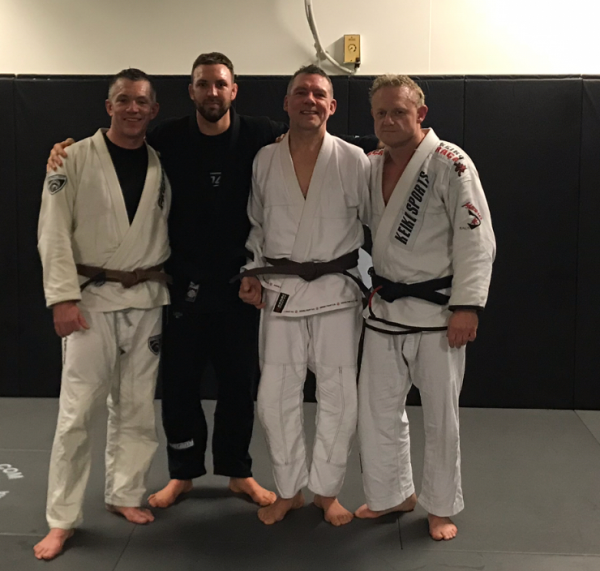 Having known Michael and some of his students for over 10 years, it really is an honour to be part of such a fantastic family! 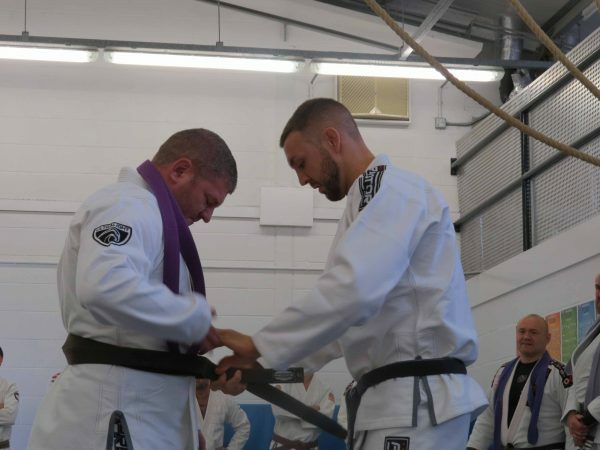 FightSportsUK would like to congratulate Tony Smith on his promotion to Brazilian Jiu-Jitsu Brown Belt under the Michael Russell Team. 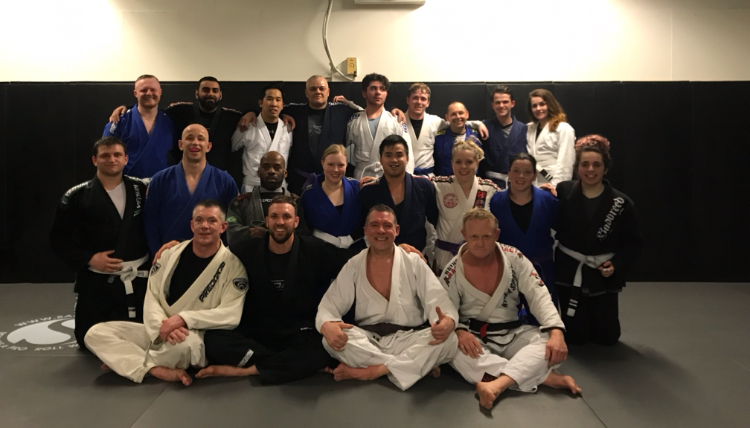 Tony started training a long time ago and his promotion came with some emotional words “a few knee ops and injury blips that take bjj practitioners away from what they love. You see, we do this because we have to. It’s something very deep inside us that draws us to a mat of physical and psychological struggle. 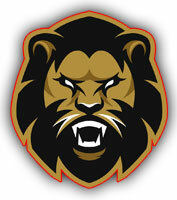 Our spirit is forged to iron. And we may go away for a while but we can never leave. 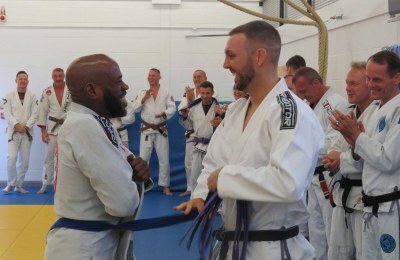 what a thrill to be recognised by my peers as Brown Belt at 53yrs young”. 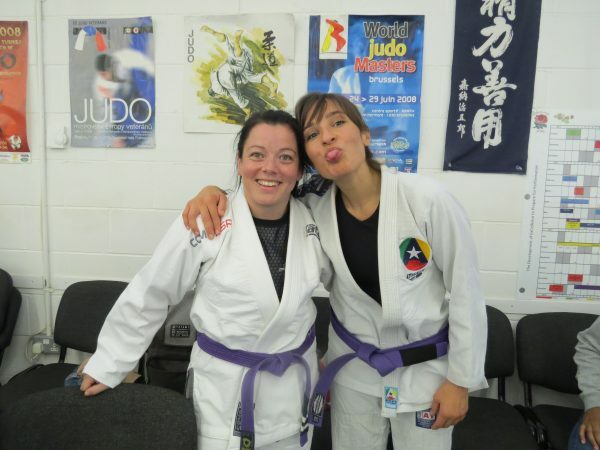 Brazilian Jiu-Jitsu promotion for Sarah Fry and Dave Fox at FightSportsUK. 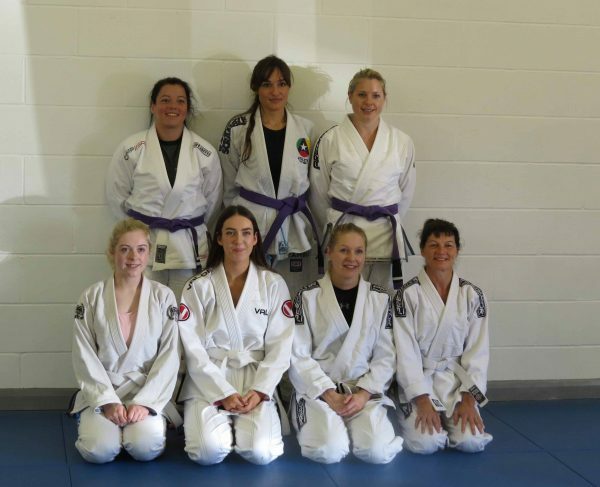 FightSportsUK congratulates both Dave Fox and Sarah Fry for their Brazilian Jiu-Jitsu promotion under Michael Russell. 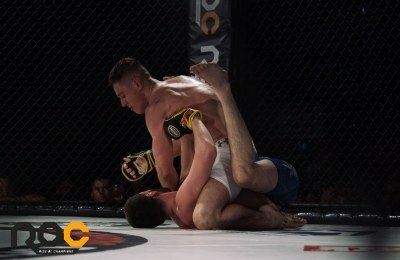 It was an exciting night at FightSportsUK on the 10th January 2018. 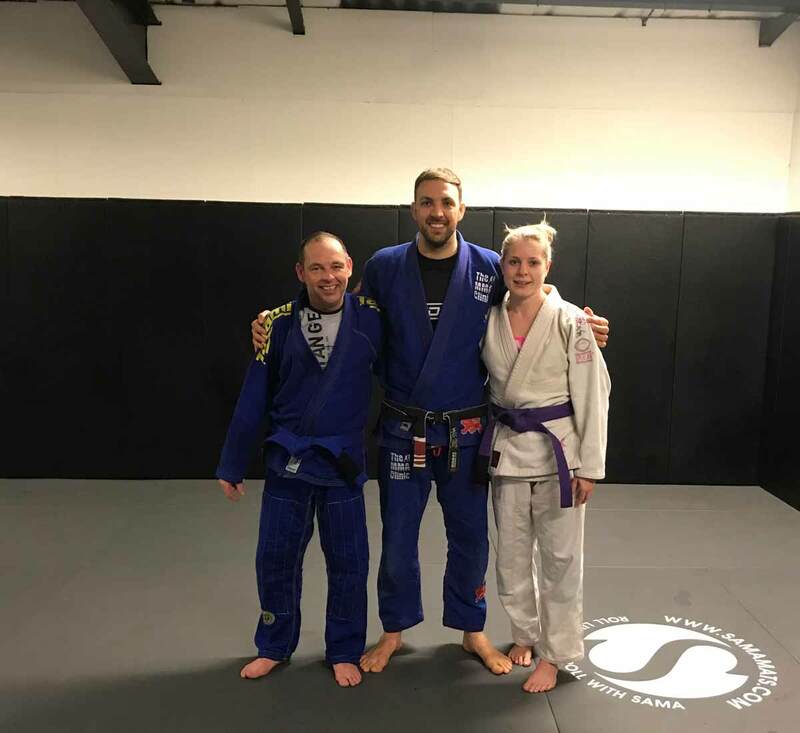 Dave Fox received his BJJ Blue Belt and Sarah Fry her BJJ Purple Belt. Anyone who trains under Michael Russell understands commitment. The personal dedication and commitment it requires for a person to move to the next grade. For this to happen its requires the student to be committed, hard working, humble on the mat, and show a hight level of technical ability. 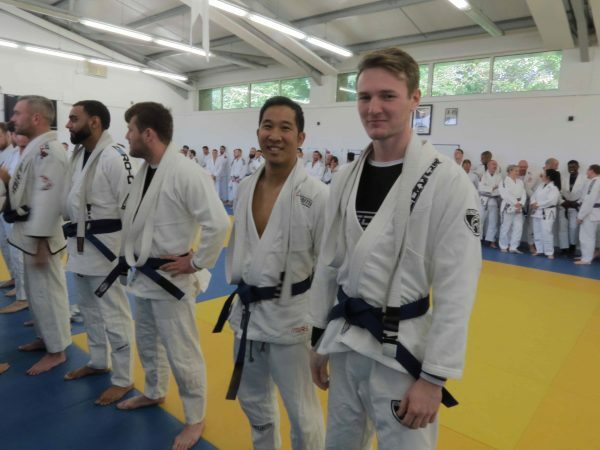 Well both students thoroughly deserve their new promotions and everyone at FightSportsUK would like to say congratulations.